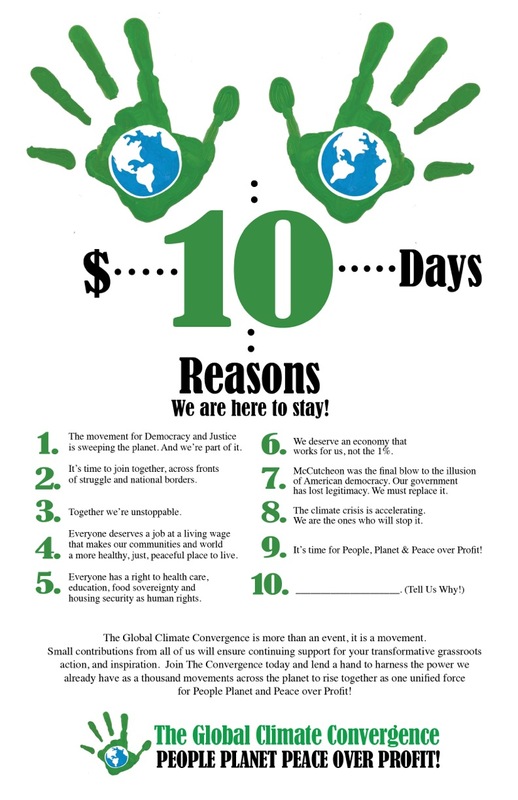 Home > 2014 > April > $10 for 10 Days – 10 Reasons We Are Here to Stay! Thank you for your tireless, inspired work & for bring to life this movement for People, Planet & Peace Over Profit! Now that we’ve got it, let’s keep it going! Do you appreciate the work of the GCC? Share the reasons you support a continuing Global Climate Convergence for People, Planet and Peace over Profit by emailing [email protected], sending us a message on Facebook or Tweeting @earthday2mayday!